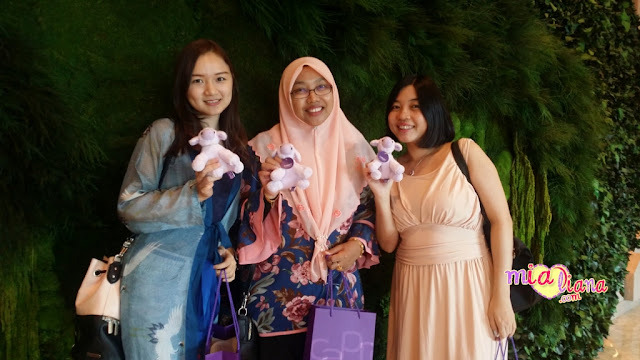 Something to be shared in this blogpost. Just for fun. No heart feeling. 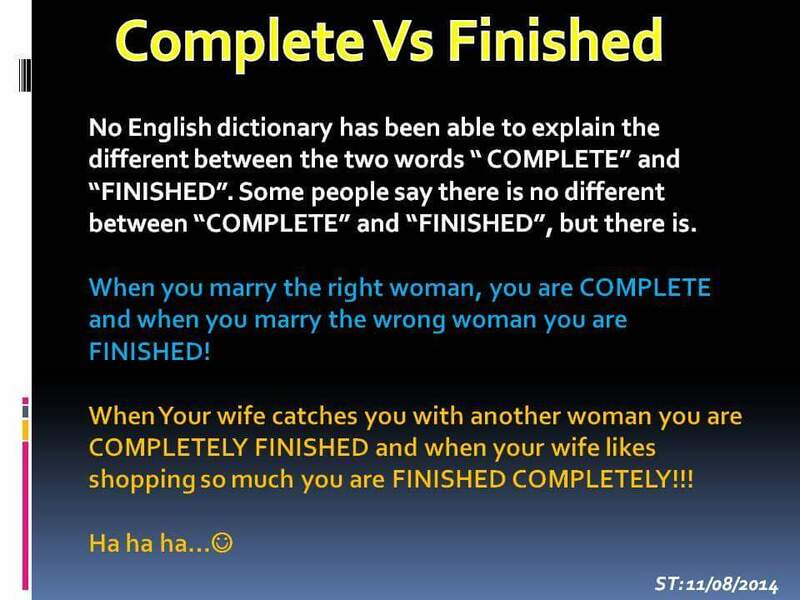 No English dictionary has been able to explain the different between the two words "COMPLETE" and "FINISHED". 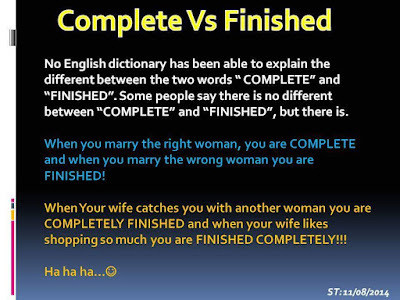 Some people say there is no different between "COMPLETE" and "FINISHED", but there is. When you marry the right woman, you are COMPLETE and when you marry the wrong woman you are "FINISHED" ! When your wife catches you with another woman you are "COMPLETELY FINISHED" and when you wife likes shopping so much you are "FINISHED COMPLETELY" !